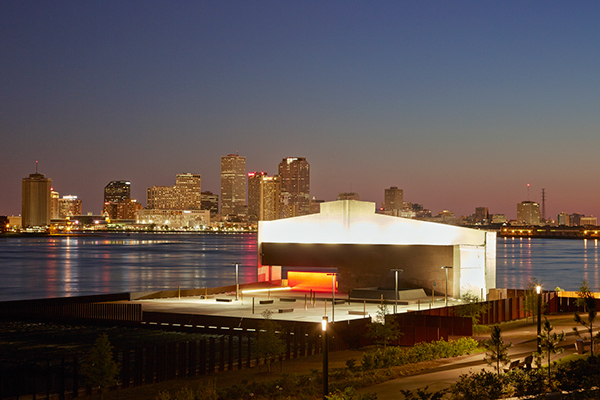 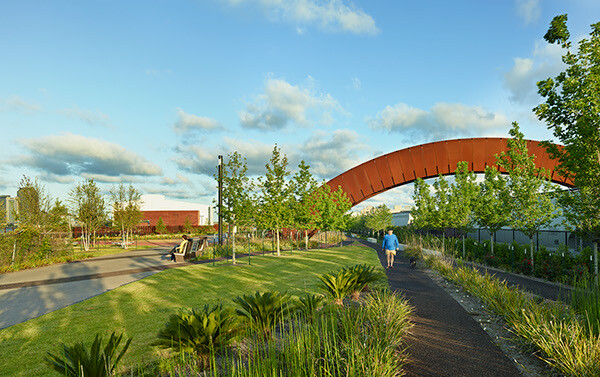 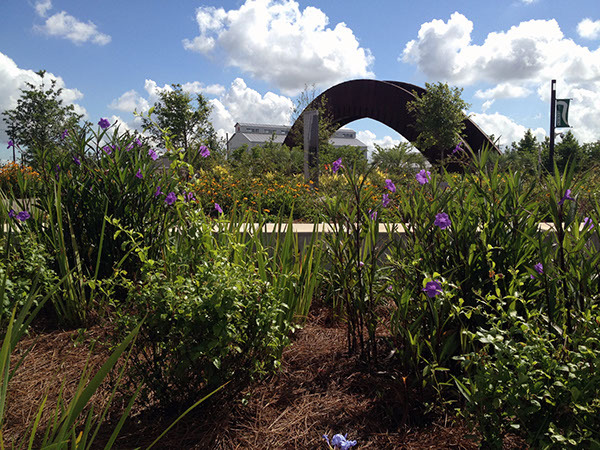 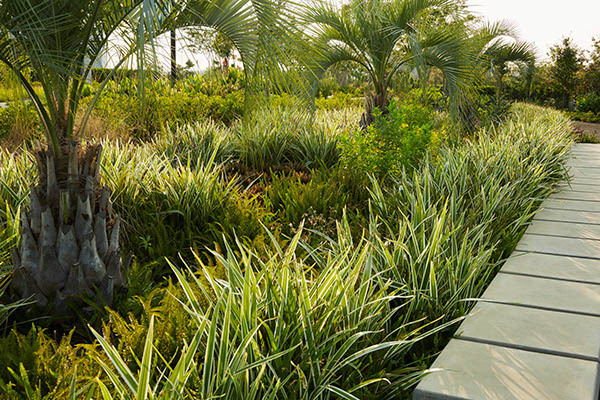 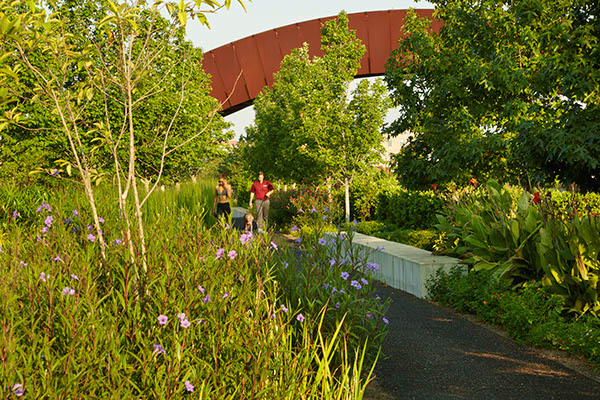 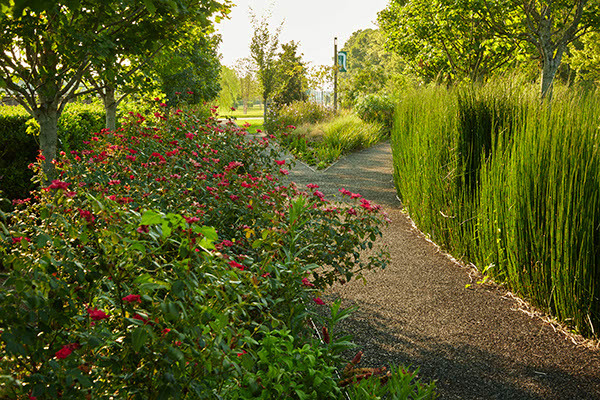 Hargreaves Associates led the design for the 20-acre linear park along the outside curve of the famed namesake New Orleans “crescent” bend in the Mississippi River. 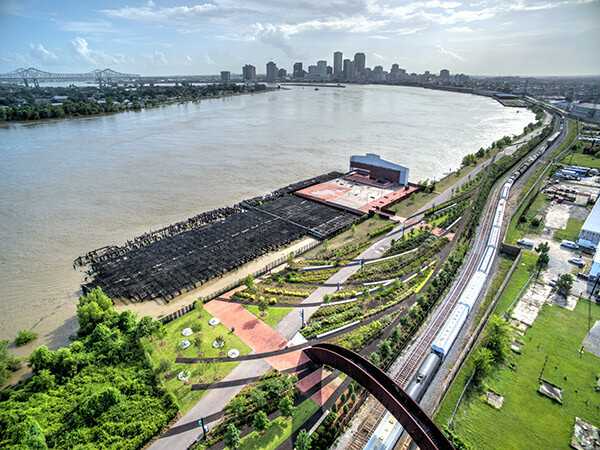 The park is the first phase of the Re-Inventing the Crescent master plan by Hargreaves Associates, Enrique Norten, Alex Krieger and Eskew Dumez Ripple, which identified 15 sites for development along 6 miles of the river, and transforms surplus Port of New Orleans wharves and derelict railroad sidings into a public landscape. 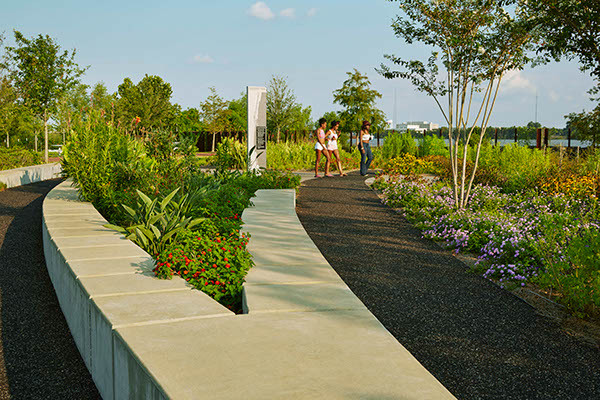 The park sits between the rail and the river, with a varying width defined by river edge conditions and wharf artifacts. 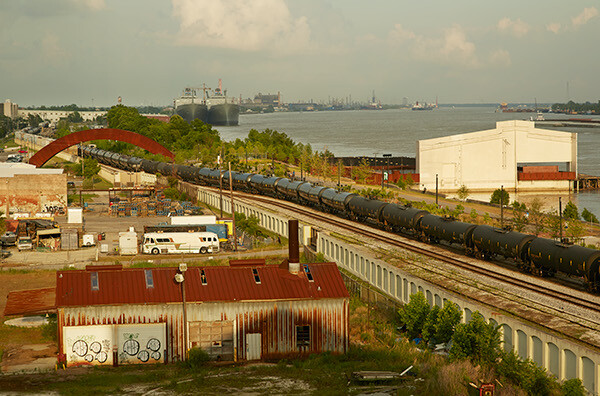 Two bridges, a wharf apron, and an at-grade flood gate opening provide access over or across the parallel-running floodwall and rail tracks. 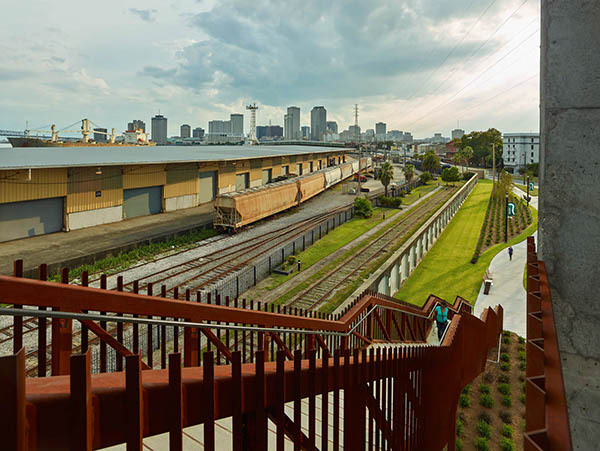 The weathered steel Piety Bridge (designed by David Adjaye) arcs over the floodwall and rail, bypassing shifting rail cars and closed floodgates, to connect the Bywater neighborhood to the Piety Gardens and a transformed Piety Wharf. 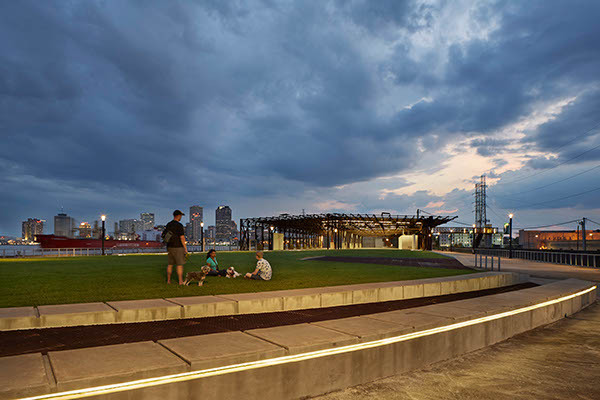 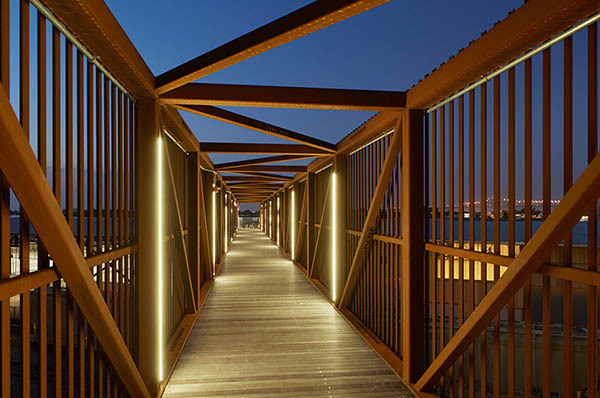 The Mandeville Crossing spans floodwall and rail with an elevator on either side, bringing visitors down into the adaptively re-purposed Mandeville Wharf – an open-air event space offering deep shade and rain protection within the shell of the former wharf shed.